Look for your city in the list below. 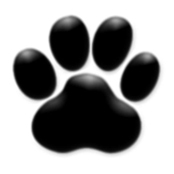 All of the recommended pet sitting and dog walking companies are licensed, bonded and insured. All of their employees undergo background checks. They have all been in business at least five years. These companies can perform daily dog walks, vacation dog walks, cat care, rabbit care, fish feeding, bird care, house sitting, and can provide service for most other types of household pets. The companies above serve northern Virginia, including Fairfax county and Arlington county.